We went to Sonic Friday to play and eat with a friend from Bible study--and her 3 kids--all younger than Jonathan. It was exhausting just to watch them. Jonathan took all their toys, and wouldn't share, and bossed them around, and played in the water from where the guy washed the sidewalk more than he played in the sand. I even caught him down on his knees drinking it a couple of times. He has learned a new trick. 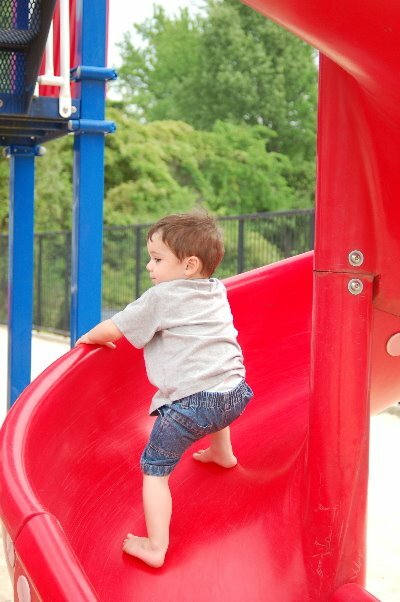 You see if a slide is curly enough, then it is easier to climb. And if you're Jonathan, this is a good thing. 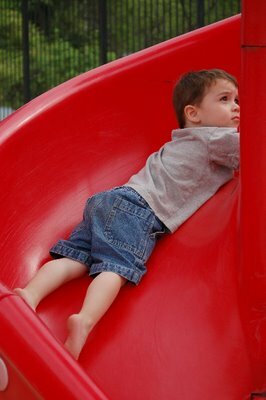 Climb up the slide...slide down...repeat. The last photo is of him bossing me around. 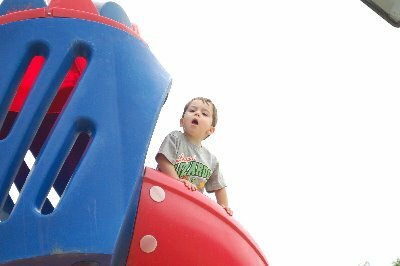 I'm don't remember what he was saying, but I know it was prefaced with, "Mom. Mom. Mom... mom. Mom. Mom. Mom! MOM!!" What can i say? He's almost 3.